Fantasy Sports Games have been around for many years. It all started in newspapers and found it’s way to early ‘90s websites. Now, the Daily Fantasy Revolution has started a next wave of Fantasy Sports, and Sofa Superstars is on top of it all. Mobile, live streams, real-time data and on-demand content have made the sports fans even more hooked on their favourite sports. Supercharge your brand by offering the latest, and most exciting Fantasy Sports Games! ​The World's First Fantasy Sports Game on Twitter! 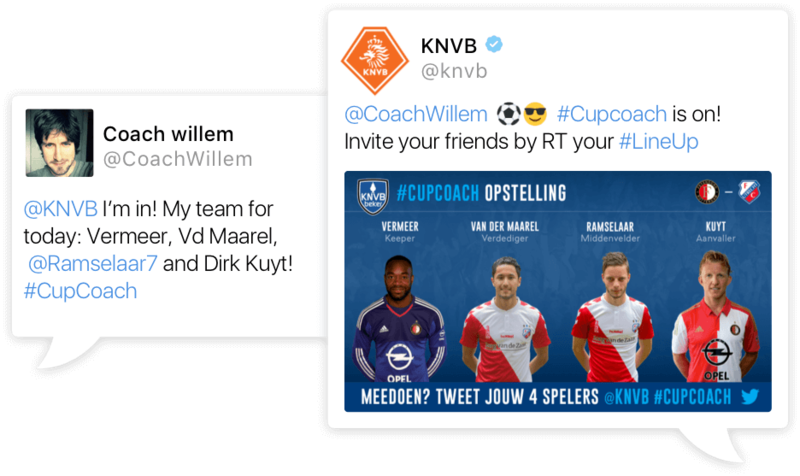 Developed in close collaboration with KNVB (Dutch FA) and Twitter to be played on a single day, for a single match. Cup Final Day 2016 was enjoyed by thousands of fans and they enjoyed it even more while playing our game. 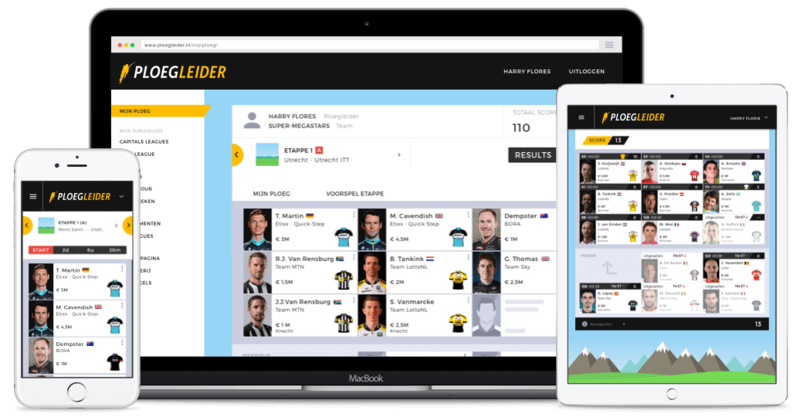 Playing Fantasy Sports was never easier, by sending a single tweet containing your favourite four players you're in the game! Thanks to our bot you stayed engaged during the match through score updates and by checking the teams of friends and followers. Contact us for more sports and possibilities. Engaging fans is a challenge for any sports marketeer. We have created different products for different audiences, set out to create new and enhance existing club-to-fan relationships. By offering a low-level entry to fans and connecting to different platforms we help you reach the people inside your stadium and those following the club from further away. Pink, yellow or red? The Grand Tours are the biggest races in cycling each year. What better way to start your excitement for the sport than to puzzle your way to the best allround team in the Sofa Superstars cycling game? Select your perfect mix of sprinters and mountain goats and beat your friends. Come back every day to select your stage favourite and check your points. Tired of playing a season long game? No chance of catching up after your early season mistakes? Thanks to CoachClash you can start all over again every week! Play head-to-head against your friends over the weekend. Available on all devices with real-time data to keep you updated throughout the weekend. Check your lead in the pub while having drinks with your opponents! Care to make it interesting? CoachClash is the ultimate ‘put your money where your mouth is’ game. Place your bets when challenging your opponents, or sign up for the ‘winner takes all’ subleagues! Probably the most international, year round, always in the news sport there is. Driving fast from March to November, F1 provides a worldwide audience of millions with some of the most competitive racing there is. Great names, great history, great sport for a Fantasy Game. 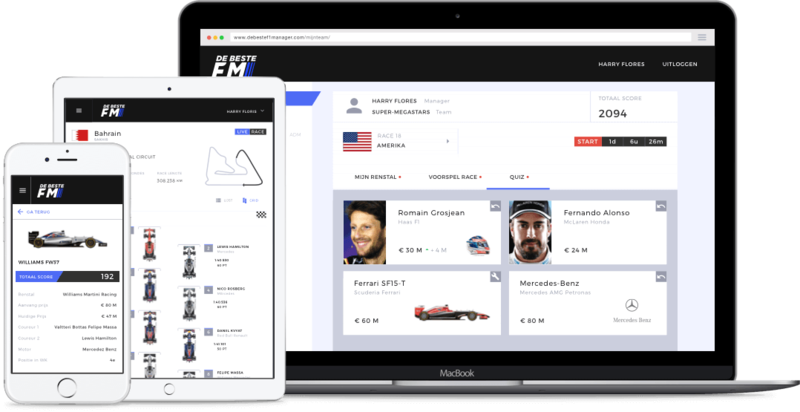 Pick your personal dream team of drivers, constructor and engine. The F1 calendar gives you over twenty shots at winning a Grand Prix! Grow your budget by winning and improve your team over the year. Our 18+ years of Fantasy Football experience comes together in one great game, keeping you and your friends engaged all season! 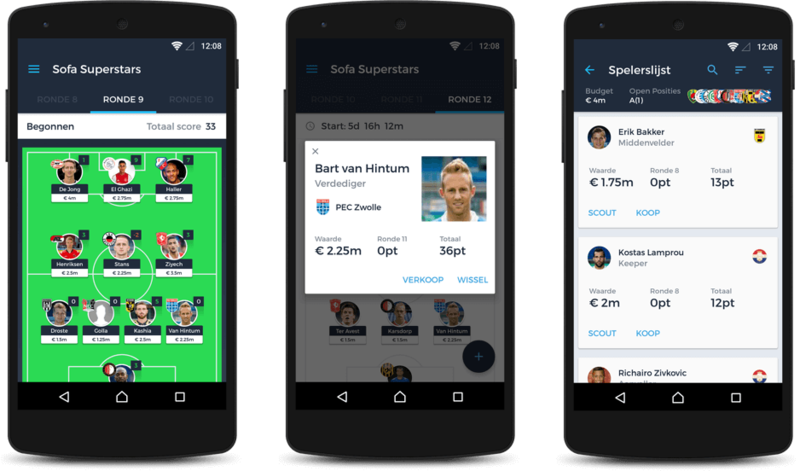 Eredivisie ‘14/’15 was Sofa Superstars’ first public Fantasy Football management game. It was open to anybody who wanted to experience our full featured football game. After a season of perfecting the gameplay, we partnered with the premium CoachVanHetJaar.nl andDeBesteVoetbalcoach.nl brands to power their 30.000+ user base with a season long game in ’15/’16. Through the Sofa Superstars App we present the Future of Fantasy Sports. A mobile only Fantasy game that hosts any sport. Thanks to full integration with social media and content driven push notifications it boosts your bragging rights in any environment. Whether you’re in the pub on Saturday or walking into the office on Monday morning, show your skills always and everywhere. Sofa Superstars launched a unique Fantasy Game concept at the World Cup 2014 in Brazil. This tournament-based management game was exciting till the final, keeping Fantasy managers engaged for the full six weeks of football madness. This tournament specific gameplay challenged even the most experienced Fantasy Manager. 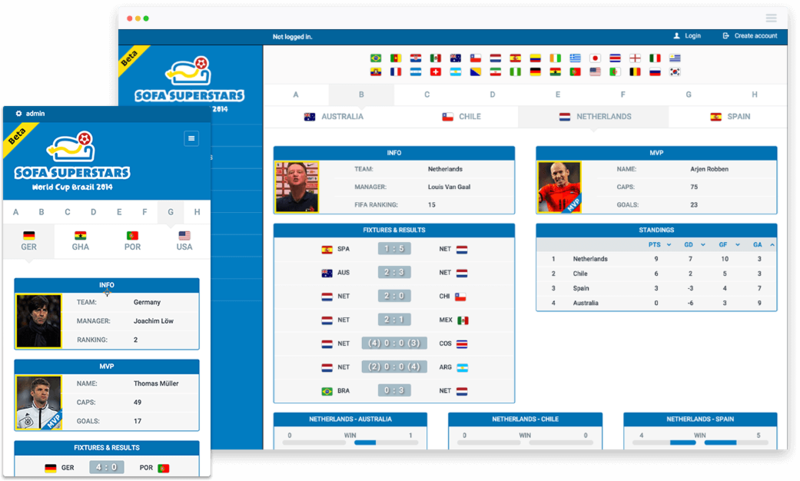 Introducing a combination of group and knock-out phase tactics in one game, Sofa Superstars World Cup / EURO Edition provides a great challenge for fans around the world.